The most important book award program in the outdoor field is the National Outdoor Book Awards. Primarily, awards are given to newly published books, but the program also recognizes past works of unusual importance through a special award called the Classic Award. Program sponsors include the National Outdoor Book Awards Foundation, Association of Outdoor Recreation and Education, and Idaho State University. This year, with the submission of My First Summer in the Sierra by Houghton Mifflin Harcourt, the judges decided to take the opportunity to honor the writings of John Muir and the monumental contributions he made toward preserving the American outdoor heritage. John Muir who died in 1914 published six books during his lifetime. Additional books and collections of his writings have been published since then. Muir’s prolific pen and his activism helped save such American treasures as Yosemite National Park, and he is truly one of the great wilderness figures of all time. This new edition of My Summer in the Sierra celebrates the 100th anniversary of the book’s first publication. 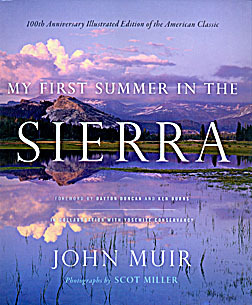 Beautifully illustrated with photographs by Scot Miller, this is perhaps the best loved of all of Muir’s books. Written in journal style and covering his travels in the high Sierra of 1869, it is a work of personal discovery: discovery of the natural world, of flora and fauna, and of the geological processes which shaped the soaring heights of Yosemite Valley. But it goes deeper than simple observation. This is Muir, after all. His thoughts lead him toward the concept of the interconnectivity among all living things. In time, this idea will become a part of his litany for the preservation of wild areas. Muir can hardly contain his excitement, especially when expressing the beauty of nature, and his writing brims with religious intensity. He is, in fact, a religious figure, an evangelist for the wild outdoors, and because of his writing and his work, we are all the richer for it. Bill Belleville is the sort of guy that you’d want as a companion on an outdoor trip. He has a child-like curiosity and wonder that is catchy—and he can tell a pretty good story to boot. He is also very much a mature and accomplished author, and his writing is an absolute pleasure to read. This collection of essays, full of hidden gems and wonderful insights, never disappoints. We saunter along with him throughout Florida on hikes, paddles and dives—and through lagoons, forests, swamps, and under coastal waters. 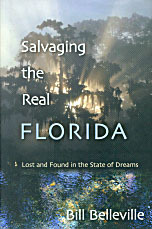 Pick up a copy, settle back with a glass of backwoods sweet tea, and enjoy a spirited ride through Florida’s natural world. In this sensitive and elegant work, Philip Connors mans a fire lookout overlooking the Gila Wilderness, the first established wilderness area in the US. It’s a perfect place, in more than one respect, to write and reflect on wild places and why such places are important in civilized life—and he does so with an honesty and understanding which is remarkable for its depth of thought and insight. Connors finds himself among some pretty heavy company: Edward Abbey, Jack Kerouac, Norman Maclean, and Gary Snyder all wrote about their experiences on fire lookouts. This is Connors first work, but if these literary forbearers could somehow manage to unite for a little backcountry revelry, it’s not hard to imagine them inviting him over and raising a toast to Fire Season. Author Nancy Ross Hugo is smitten with trees. In fact she’ll unabashedly tell you that tree viewing is as exciting as bird-watching. And you’ll see why. Just spend a little time paging through this book—sample a bit of Hugo’s personable and insightful writing, absorb Robert Llewellyn’s splendid photography—and it becomes clear. 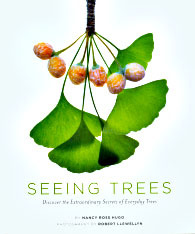 What this book does differently than many is to examine trees in a close up and personal manner: the resplendent emerging leaves of a white oak, the secreted and graceful immature seed pods of the redbud, the thrilling appearance of a red cedar flower. This striking and delightful book will draw your eyes upward toward the world of leaves and entwining branches, and like Hugo, you may find yourself smitten and thrilled by what you see. This is a book of action photography and it will rock your socks! The cover draws you in immediately: two bald eagles, talons spread and about to lock, one above and one below upside down, yellow eyes glaring: the tumbling, breathtaking violence of a fight over food captured in a timeless manner. Raptors is a type of book that you can read in parts when time permits. By design, there’s no overarching text, rather each of the photos have instructive captions which explain the behavior pictured. 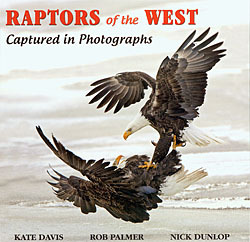 Quite simply, it’s among some of the best action bird photography ever published. 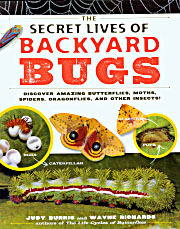 Judy Burris and brother and photographer Wayne Richards are into bugs. What sort of bugs? Let’s see. There are grasshoppers, beetles, butterflies, dragonflies, spiders, crickets and more. All of these creatures are shown in close-up photographs, each showing different stages of the bug’s life cycle. Clear and understandable explanations accompany each new section. This is the perfect nature guidebook for children, and it will help lead and instruct them through the fascinating world just outside their doors. Age group: 8 to 13 years. 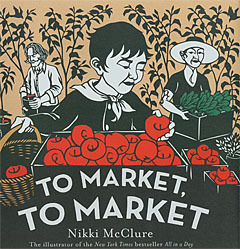 Nikki McClure is a master of the cut-paper technique and she uses it with unblemished effect in her new book To Market, To Market. The story that unfolds in the book is about a bustling farmers market. A young boy and his mother shop for apples and cheese, and salmon and greens. As they go about the market, the farmers explain how they grow the items they sell—and the skill and work that goes into it. Finally with their basket full, the boy and his mother return home, and all of the members of the family join in a feast celebrating good, healthy food and the farmers that make it possible. Age group: 4 to 8 years. Dominic Gill planned to bicycle from Alaska to the southern tip of South America. Before leaving on the journey, a film producer suggested that he use a tandem bike as a way of spicing things up, making the trip more interesting. Gill thought the idea ridiculous. But when Gill wobbled off at the beginning of his journey on a grey, cold day in Prudhoe Bay, Alaska, the shiny new bike he was riding was a tandem. As the trip progressed, at points here and there, he would invite strangers that he met to join him. Sure enough, many took him up on it, adding their energy to his. Some rode with him a few miles, some rode for many days. In the process strangers became friends. Take a Seat is Gill’s engaging story of his two-year-long journey and the friends that helped him along the way. In An Empire of Ice author Edward Larson takes a different tact than most literature of the genre. He chronicles British expeditions to Antarctica—doing it quite well—but he does it from a scientific perspective. Scientific discovery was, after all, a main justification for polar exploration and it helped in raising the funding necessary for efforts of the size and magnitude involved. Consequently, considerable scientific research was undertaken on the expeditions and the body of science benefited. Larson adeptly describes the research, the obstacles faced by scientists, their failures and achievements, and handily places early twentieth century exploration in a broader, more far-reaching perspective. Naturally Curious is a marvelous new nature guide. And quite naturally, it’s by Mary Holland, one of the East’s most seasoned naturalists. She’s also something of a Renaissance woman: educator, advocate, columnist, and photographer. 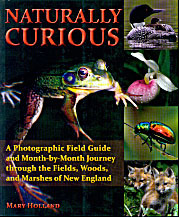 In fact, all 900 color photographs in Naturally Curious are Holland’s. What makes this guide stand out is the way it’s organized. Starting in March, with the first signs of spring, it covers the changes in the natural world, on a month to month basis. You can’t go wrong with this guidebook. It’s one that you’ll use over and over—naturally. This colorful and remarkably well done guide, covering 153 miles of the Rio Grande, is packed full of information for flatwater and whitewater paddlers. But it’s not just for river runners. Hikers, anglers and cyclists will also find it invaluable in their trips to Rio Grande country. The maps are first rate. They were developed from an aerial photo base and use a blend of colors and shaded relief to make the river topography stand out. 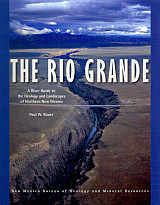 The geological information, both textual and illustrative, is some of the best the judges have seen in a river guide. The title of Robin Barton’s 350-page work couldn’t be more apt: it is, indeed, a bible, covering all aspects of cycling from recreational riding to road racing to mountain biking. 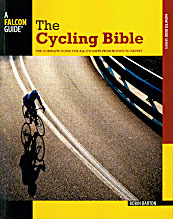 Nicely designed and filled with crisp, instructive color photographs, the Bible includes up-to-date information on equipment, step-by-step tutorials on cycling technique, sage advice on safety and fitness, helpful hints on maintenance and repairs, and great rides throughout the world.